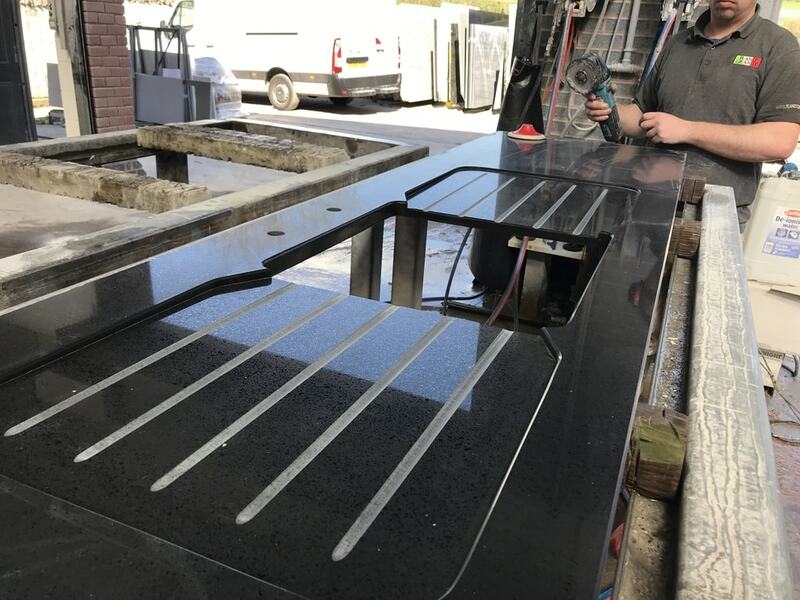 Today we made this fantastic double inclined drainer in Teltos Nero Stardust quartz, the drainers both slope toward the bowl as do the drainer grooves , the slope is around 6mm to 10mm. 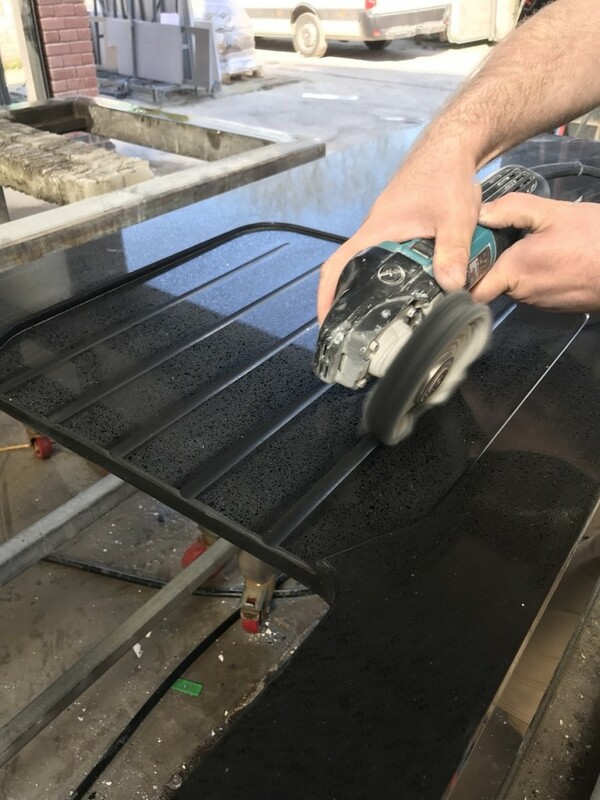 Here you can see the drainage grooves in the quartz worktop being hand finished after the Cnc work has been completed. Note the incline of the drainers sloping towards the bowl. Hi, I’m Steve. 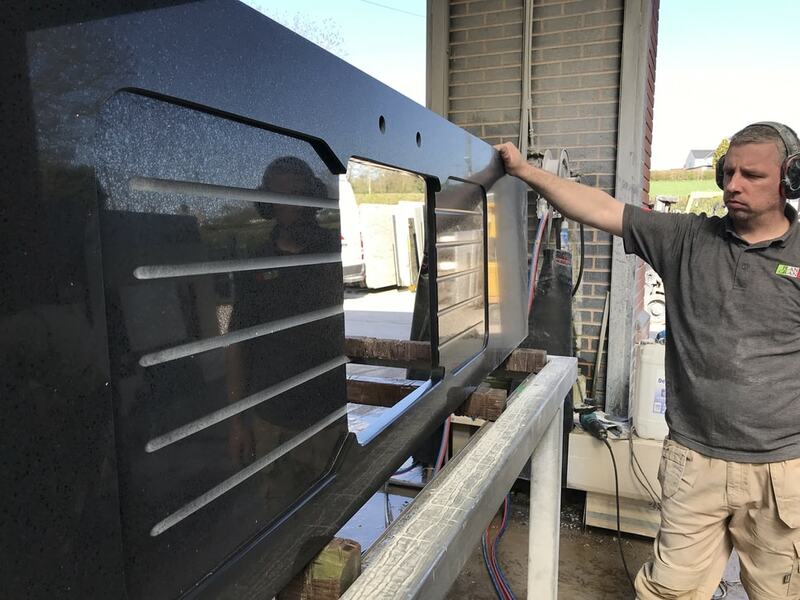 I run Planet Granite from a custom-built farm in Warwickshire, where I live with my family. The team and I are really passionate about crafting and installing granite and quartz worktops, as you’ll see from my blog. You’ll find before and after photos and examples of different designs and stone to inspire you. Happy reading!